• A North Carolina upholstered furniture firm outsourced all its wood frames to Europe and Asia years ago. In January, it moved wood frame production back to the U.S.
• A Connecticut-based multinational manufacturer of high-end residential furniture says it will focus its retail showroom expansion almost entirely on China. But 60 percent of the goods sold there are shipped from the Americas, mostly from the U.S.
• In Virginia a furniture maker finds success retailing children’s bedroom furniture produced exclusively in its U.S. factories, despite the fact it costs up to 75 percent more than the Chinese imports it used to sell. • A Wisconsin residential furniture giant opened its first Shanghai retail showroom, just as it invests millions opening and expanding plants in North Carolina and Wisconsin. These aren’t isolated reports, but headlines taken from major national newspapers over the last few weeks. It’s part of a generalized trend that is seeing the recovery of manufacturing in America. 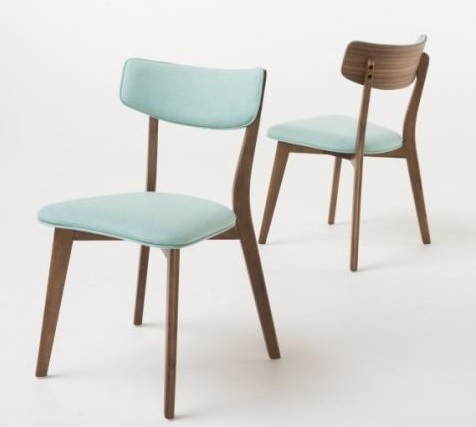 One of the most striking cases, Chicago-based Selected Furniture, which produces solid wood chairs and wood and laminate restaurant furniture, is moving wood component manufacturing from a plant in China to a 200,000-square-foot plant newly acquired for $1.2 million in Knox, IN. Selected Furniture has been doing assembly and finishing, plus solid wood table production, in its Chicago plant. Those operations also move to the new integrated factory in Knox. The movement to domestic manufacture is based mostly on economics. As costs for energy have risen, shipping costs to transport goods from foreign factories to U.S. retailers erases much of the competitive advantage of foreign producers. In China, rising salaries amid competition for workers is chipping away at that country’s competitive labor advantage. But adding to the trend is a mix of marketing with a dash of patriotic fervor. 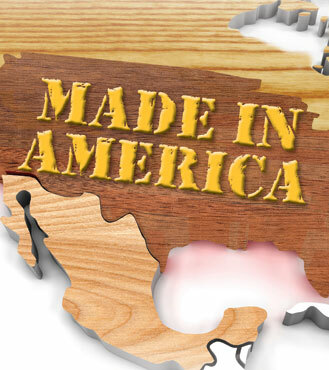 Efforts like Made in America and Made in USA initiatives, and media attention such as ABC’s “American Made” series, are building consumers’ awareness, coaxing them to seek out domestically produced goods, even if they have to pay a bit more for them. This is not a strictly U.S. phenomenon by any means, as the economies of Canada and Mexico are intimately tied to insourcing trends, supported by cross-border investment. The Toronto chapter of the Society of Manufacturing Engineers, for example, launched a “Take Back Manufacturing” initiative last fall. Powin Corp., a contract manufacturer of Maco furniture and industrial goods, increased production in Mexico, it said, because China is becoming too expensive. And Woodcraft Industries, a St. Cloud, MN furniture and wood component manufacturer, acquired Técnica Maderera Especializada in Guadalajara, Mexico last month. “TME’s proximity to U.S. markets, combined with its high-volume production capabilities, will allow Woodcraft Industries the ability to access new customers,” said Woodcraft Industries CEO John Fitzpatrick in an announcement about the buy. It’s no wonder furniture is among the segments moving back to U.S. shores for production. The trend, say supply chain analysts at The Hackett Group, favors bulky items with high shipping costs; items are high, where color and style are subject to quick-paced consumer trends; or where supply chain integrity and consumer safety is paramount — all features that describe furniture. Studies this year both by MIT and The Boston Consulting Group conclude that the pace of “reshored” or “insourced” manufacturing will accelerate in the next two years. Boston Consulting Group says residential furnishings is one of seven segments that will move back to U.S. factories by 2015. “This is good news for the American worker as growth in the U.S. manufacturing sector keeps more high-paying jobs at home,” said The Hackett Group analyst David Sievers. Sievers says reshoring becomes more viable as the total landed cost gap of manufacturing offshore shrinks. The Hackett Group’s research found that the cost gap between the U.S. and China has shrunk by nearly 50 percent over the past eight years, and is expected to stand at just 16 percent by 2013, largely driven by rising labor costs in China, as well as rising fuel prices globally, which affects shipping costs. Insourcing was the subject of a White House conference in January, as the government looks for ways to support U.S. manufacturing. Seated alongside a bevy of U.S. industry heavyweights from Ford Motor, DuPont, Otis Elevator, Intel, Rolls Royce and Siemens was Bruce Cochrane, president of recently launched Lincolnton Furniture, Lincolnton, NC. Insourcing is a growing trends in many industries. As businesses factor in costs for transport, duties and tariffs, or logistics challenges that hamper delivery to consumers, the savings from outsourcing production abroad is increasingly swinging toward domestic production. The study by The Boston Consulting Group released earlier this year found furniture production to be among sectors that could create 2 to 3 million jobs as manufacturing returning to the U.S. The emerging trend is expected to accelerate over the next five years. Even before Boston Consulting released its study, U.S. wood products firms experiencing the upside of insourcing included Crawford Furniture, which has reopened a manufacturing plant in Jamestown, NY; Lincolnton Furniture, Lincolnton, NC; and Stanley Furniture, which has consolidated its entire manufacture of juvenile furniture to the U.S. Other wood products manufacturers are also starting up or expanding in the U.S., including St. Martin Cabinetry America, a unit of Shanghai-based St. Martin Cabinetry, which last year opened a 60,000-square-foot plant in Cressona, PA, for production of melamine plywood frameless cabinets from inventory components imported from China. Assembling and clamping the dowel-constructed wood cabinets has already begun. As if on cue since the recent studies were released, big furniture firms that could site manufacturing anywhere have opened or expanded operations in North America. Among the unnamed firms mentioned at the beginning of this story are Ashley Furniture, which announced in April a 3.3 million square foot plant to open in North Carolina, and in May a $6 million plant investment in White Hall, WI; Stanley Furniture, which relocated headquarters to High Point, NC, amid an $8 million investment program that has seen all its Young America youth furniture production insourced to the U.S.; P.A.M.A., Jamestown, NC, which moved wood frames for its upholstered furniture from Indonesia and Italy to the U.S.; and Ethan Allen, which makes most of the furniture sold in China in its seven American plants. With the proximity of heavily forested Canada and competitive labor rates in Mexico, “Made in America” includes these NAFTA trading partners. U.S. exports of wood products to Canada and Mexico are significant indicators of the integration of production on the North American continent. For example, panel exports from the U.S. to other North American markets totaled almost $689 million last year, running about 1.14% ahead of that for 2012. Worldwide exports of panel and plywood were over $1.064 billion last year, with hot spots like the Australia region running 34 percent ahead in 2012, South America 68 percent ahead, and Japan up 54 percent. Cross border investment is very fluid among the three primary trading partners in NAFTA. In March, Appalachian Flooring Inc. of Cowansville, QC, was given $1.2 million in financial aid by the State of Vermont to create a new 26,000-square-foot wood production facility in North Troy, VT. 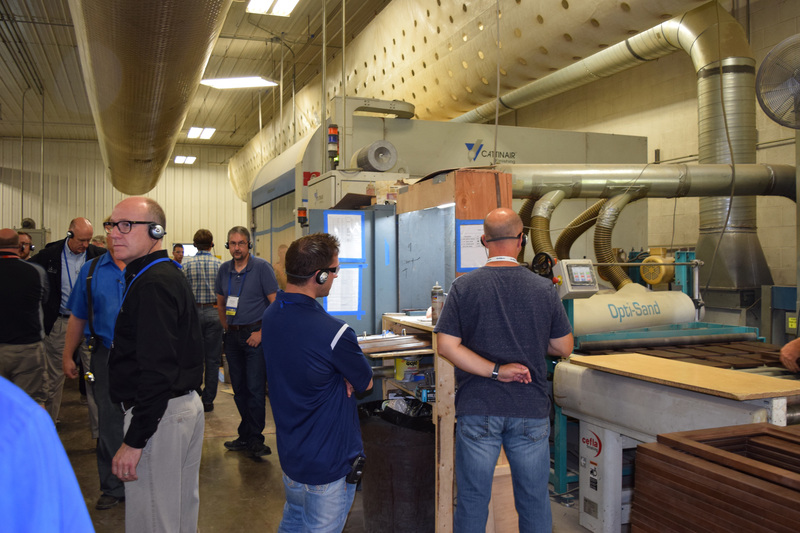 The operation will manufacture finished engineered hardwood flooring as Appalachian Engineered Wood Flooring Inc., creating 40 jobs within three years. 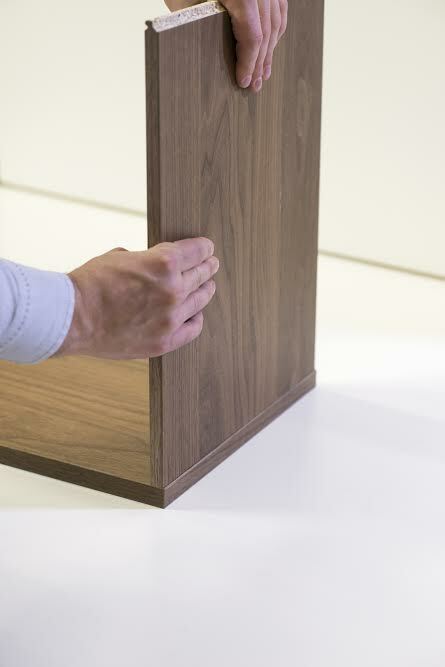 In May, $2.3 billion cabinetry refacer U.S. Home Systems entered Canada in partnership with retailer Canadian Tire, with plans to expand into several provinces for cabinet refinishing and replacement services. As wood products factories resume operations, labor-intensive production lines are being replaced by automated cells, accompanied by lean manufacturing approaches. New hires also come on staff at reduced wage scales. Though paid at much higher rates than their counterparts in developing nations — Stanley Furniture says it pays $10 per hour for sanding in the U.S., and just 60 cents an hour for sanding performed in its China factories — U.S. workers, including woodworkers, have become more competitive through technology and best practices. Companies are finding the upside of domestic production — speedier and more reliable delivery, and reduced transport costs — increasingly offsets the wage differential. An added bonus: design and engineering can work collaboratively with manufacturing during product development. This combination gives an edge, in many cases, to North American production.